For those of you who have heard but yet to use Google Hangout, there is one reason you should get a crash course; Sami Yusuf is planning to have a live chat session in Google Hangout, Insya Allah, this coming November 9th, Saturday at 1 AM (Malaysia time). As of late, more and more artist and celebrities, be it of mainstream, nasheed or even underground use Google Hangout to reach out to their own fans. It is one of the unique ways for them to learn more what the listeners wish to learn, inspire them in the proper paths, and even gain insight of how their fans react to their music. So if you want to ask Sami Yusuf about his latest songs, what inspires him or even what it takes to be a Muslim entertainer, set your alarm clock to 1 AM or 5 PM GMT (for international time reference) and log on to Google+. Discover who is this man and what motivates him in this one-of-the-many Google Hangout’s session exclusive! Now, how to join Sami Yusuf’s Hangout session? If you already have a Google account (ie: Gmail, YouTube, Google Drive, Google Play Store), this will save you a lot of time. 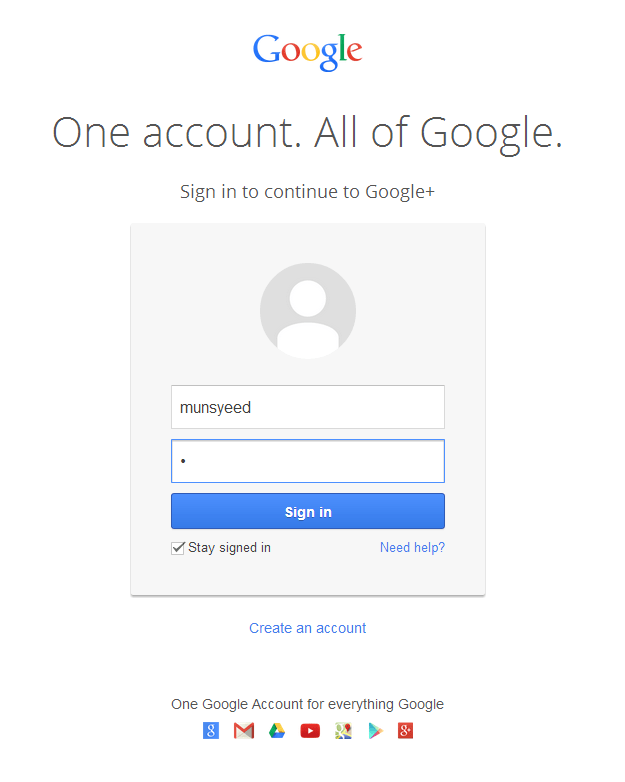 If you don’t have it, create your Google account first, then follow these steps. 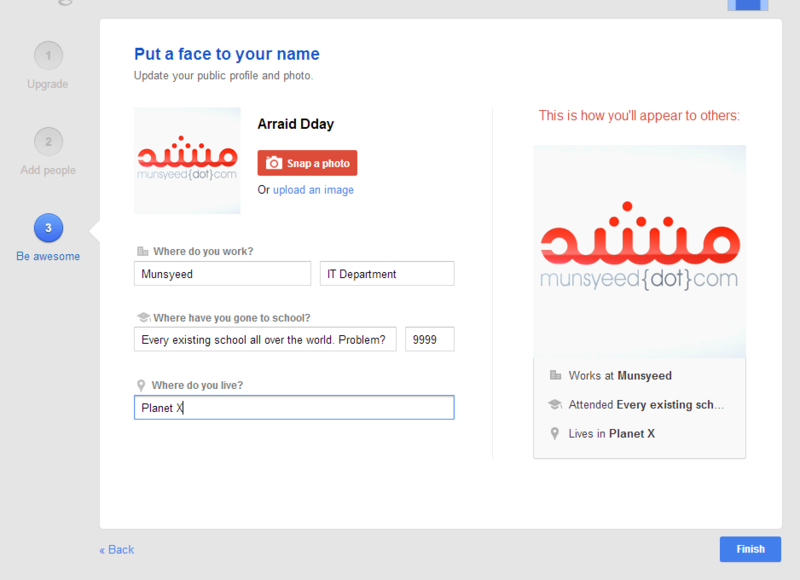 For a first time user, you will be prompted to enter your Name, Gender and Birthday. Then click Upgrade. 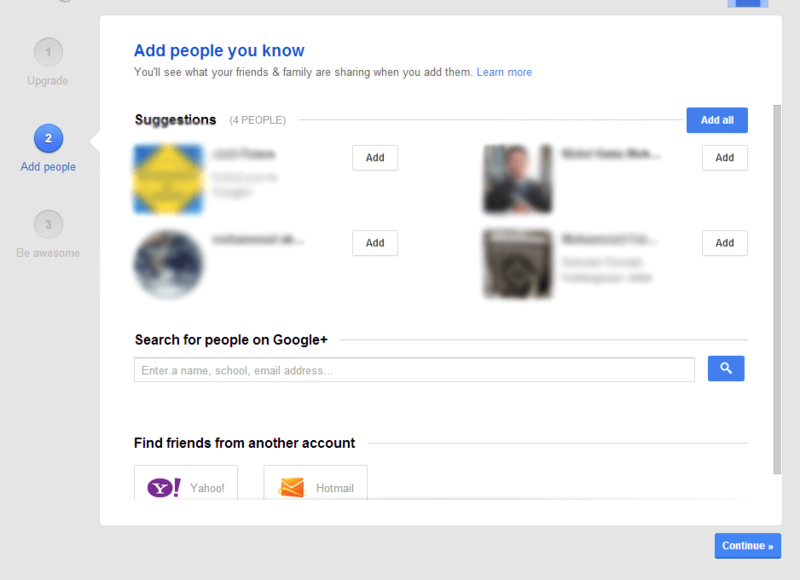 Add some friends that already registered with Google+. Click Continue. Upload your photo. Make sure to upload the cute, handsome and macho version of you, like mine (just kidding). Now you are all set for this week LIVE chat session with Sami Yusuf. 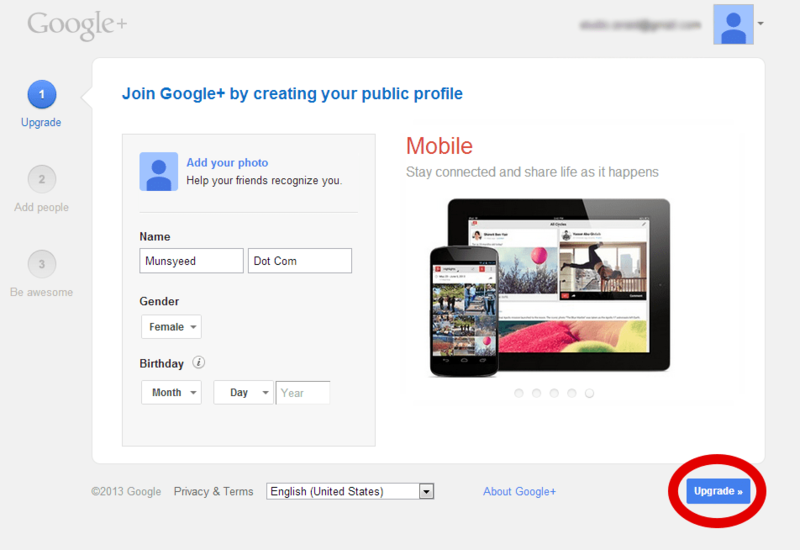 Be sure to log on to your Google+ account a few minutes earlier. Have fun! Don’t forget to follow and +1 us on your Google+ account yah!